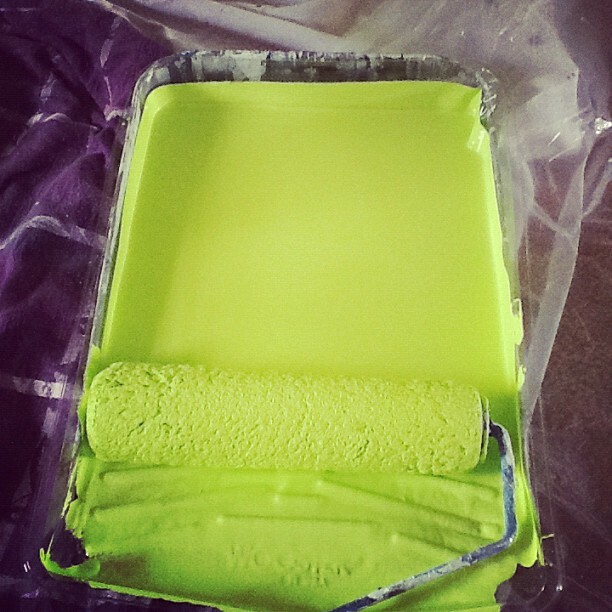 Condo Blues: Would You Paint a Room With Scented Wall Paint? Even today as I paint our newly built condo, I do what I can to avoid the smell of conventional paint hanging around for weeks on end. Low VOC paint in Hootenanny Green! Fortunately, when I use low VOC and primer, the smell is faint while I work with it and goes away the next day when the paint is dry. Let's not forget the whole better indoor air quality for the people who live here issue either. That's why I'm trying to give the benefit of doubt when a Facebook friend told me about Glade Paint Additive but I'm having a hard time. Apparently, it is a liquid you pour in a gallon of paint to make it smell air freshener. I keep thinking, but WHY? 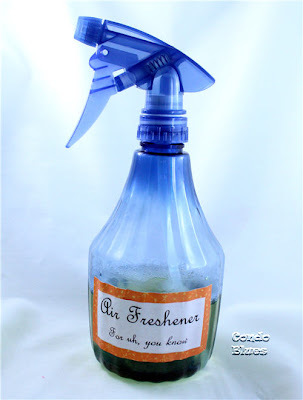 Learn how I make natural air freshener spray here. If you don't like the smell of conventional paint, wouldn't this be more expensive way to get a conventional paint wrapped in fake flower smell than paying a little bit more for low VOC paint that barely smells at all? Most paint and home improvement stores will color match if the low VOC paint doesn't come in the color of your favorite conventional paint brand's color. What happens if you use too much and your room ends up smelling like a too sickly sweet version of Crazy Old Lady House? And for how long? They also don't say how long the smell is supposed to last. They suggest using it on musty basement walls and such to cover the musty smell. Fair enough, dirty and musty smells make me gag too. However, experience teaches me that unless you fix the problem that is creating the smell in the first place, the smell will eventually bleed through no matter what you use to cover it up. I'm not completely against scenting a room on occasion. I like to burn soy candles after dinner to clear cooking smells. Every bathroom in the house has a spray bottle of homemade air freshener spray for a quick clearing of uh, you know. Maybe this me being a snobby green gal because the stuff I use is made from natural essential oils and extracts and I'm sure this paint additive is not? I'm trying to be kind here and failing. What do you think? 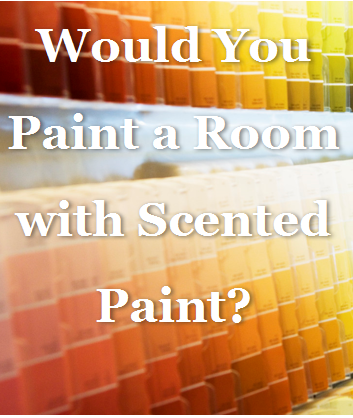 Would you paint a room with scented paint? Why or why not?